PERFECT PROTECTION FOR YOUR PERSONAL PISTOL OR REVOLVER! We have a great selection of small safes for storage of your firearm in a convenient place. 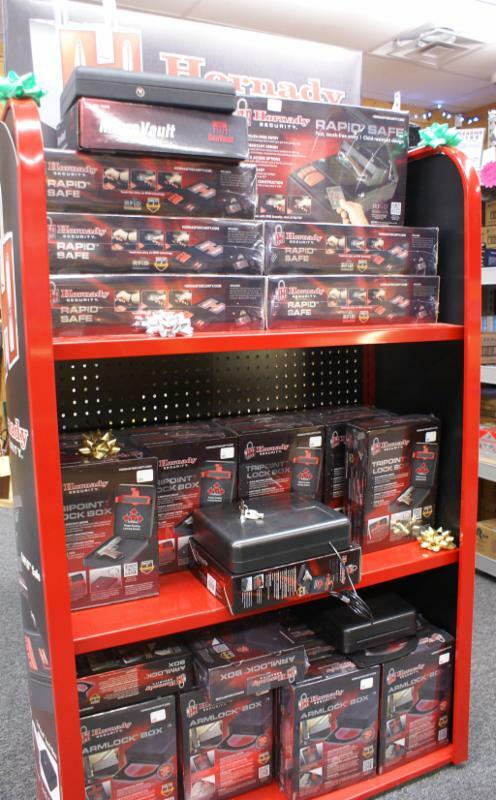 Check out the line of Hornady small safes. They make great gifts and provide peace of mind. 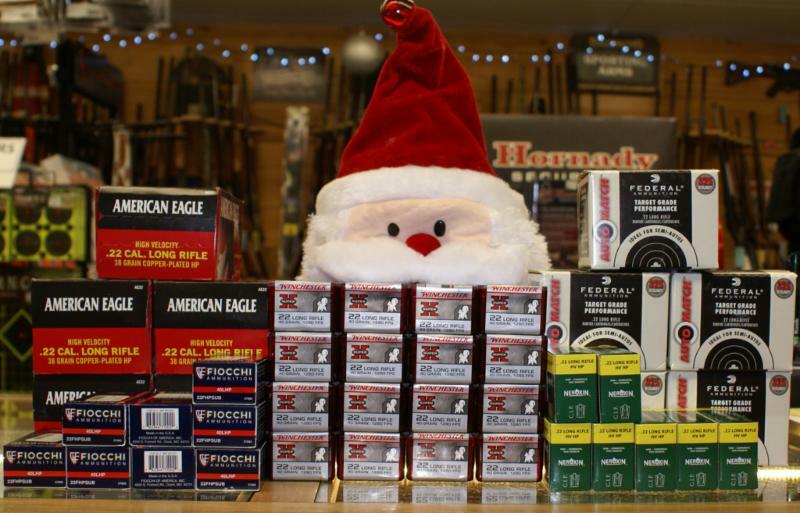 Santa came to the shop early because we have been pretty good this year and he brought us some .22lr ammo! But Santa said that there were so many good girls and boys he had to spread it around which means that we can only sell one brick or 200 rounds per person per day. Come in and grab some! 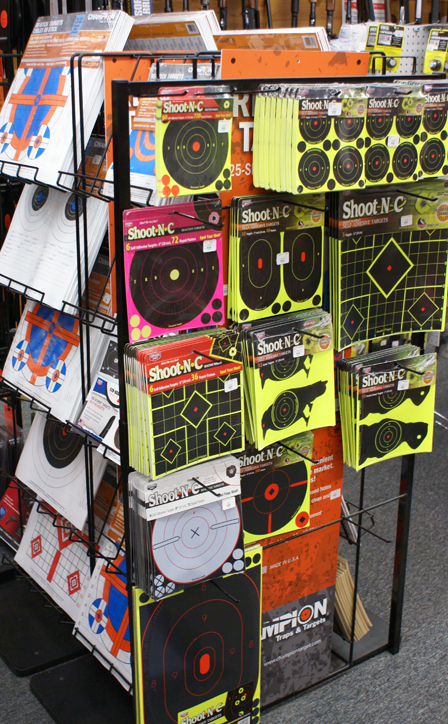 What better to shoot all that .22 at than some of these great targets. We have Shoot n’ See, Champion and more on our target racks. I know for a fact that these are great gifts! WHAT DO YOU GET THE SHOOTER THAT HAS (ALMOST) EVERYTHING? 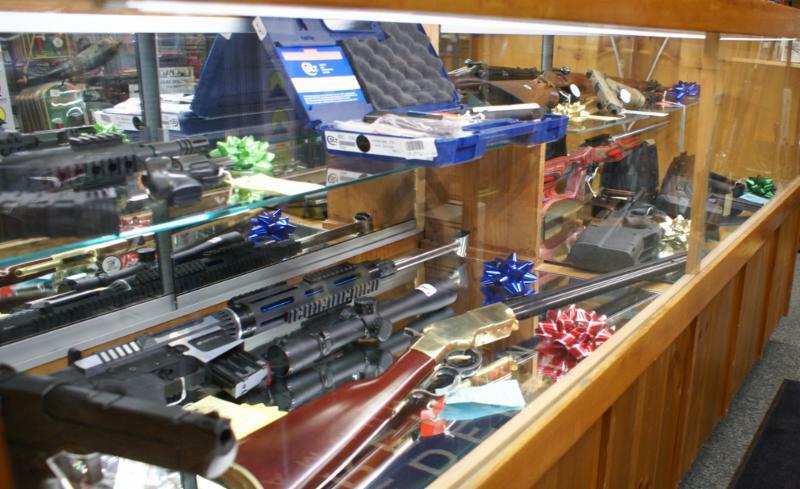 We have LOTS of UNIQUE, CUSTOM and UNUSUAL firearms, scopes and accessories that will bring a smile to anyone’s face. Check out the “CUSTOM CASE” for some fantastic gift ideas! 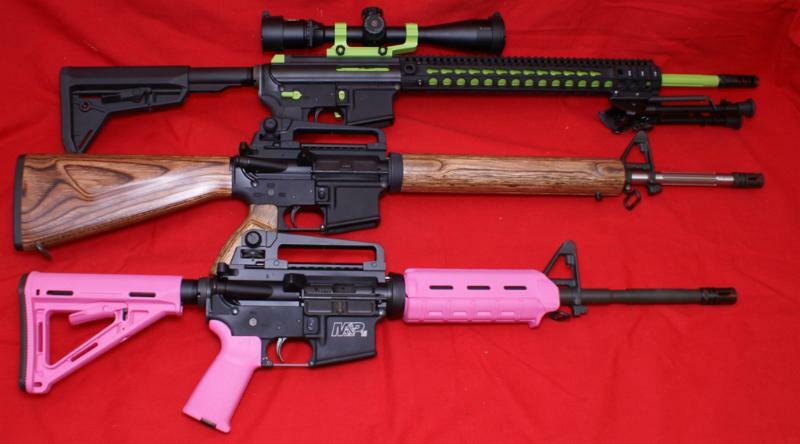 From a Zombie Green highlighted side charging Spikes Tactical, to the beautiful wood furniture AR15 to the Flamingo Pink accents on the S&W M&P15 our gunsmiths can work their magic on your firearms or build the gun of your dreams. Let your imagination go wild and let us design a custom creation just for YOU. Looking for a GREAT 1911? We have one of the largest selections of KIMBER pistols in New England. Lots of styles and sizes available. Check’em out! We’ll even include the Christmas bow. 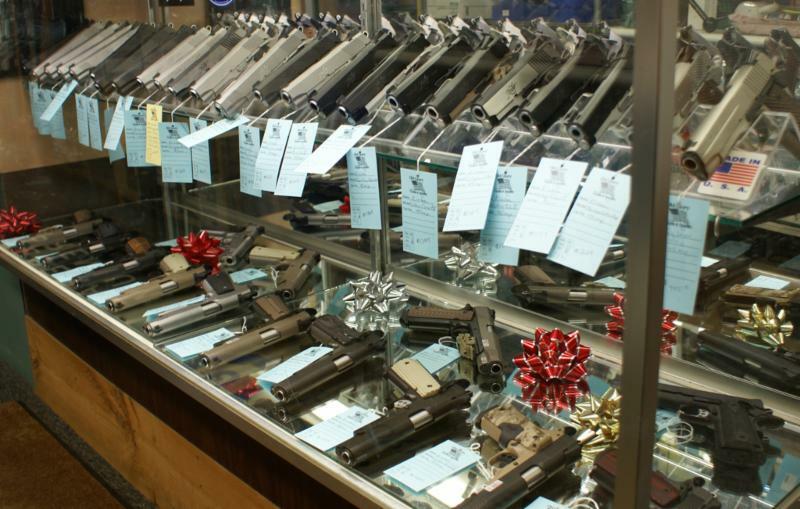 Even though we lost power on Black Friday and 1/2 of last Saturday we have LOTS of great Christmas ideas for you and the firearms enthusiasts on your list. NEW! Gun Vault Showroom!! 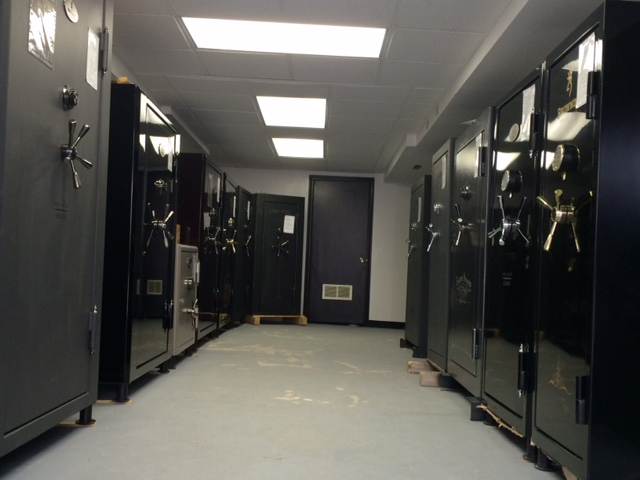 We have just opened a new showroom for gun vaults for safe, secure storage of your firearms. Be sure to ask for a tour the next time you come in. Check out the great ideas below and stop in for a cookie! 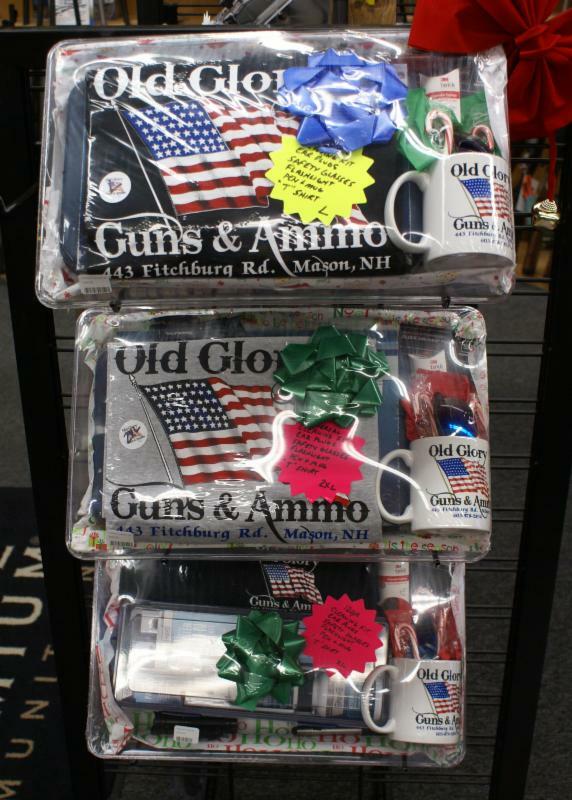 Great gift packages that include all sorts of goodies. Perfect for everyone! These really take the worry about what to get! Check out the rack of specially priced stocking stuffers. EVERYTHING you see there is 25% off! 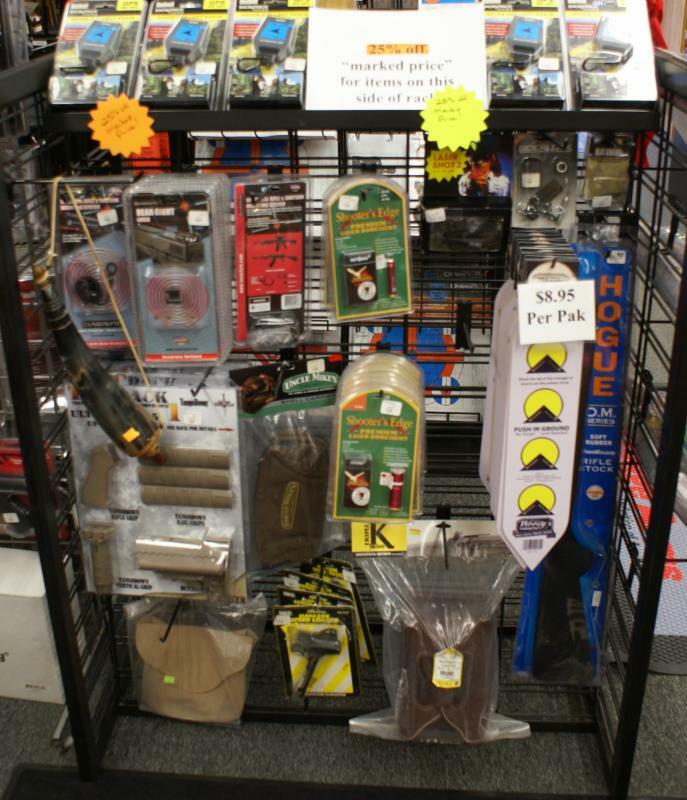 If there is a Black Power shooter on your list don’t forget that we have a great selection of goodies for the smoke pole shooter!. SPEAKING OF BLACK POWDER SHOOTERS….. If its time for you or someone you know to upgrade their black powder rifle now is a great time to check out the fantastic, made in New Hampshire, LHR REDEMPTION RIFLES. These fantastic guns have reset the standard in what to expect. 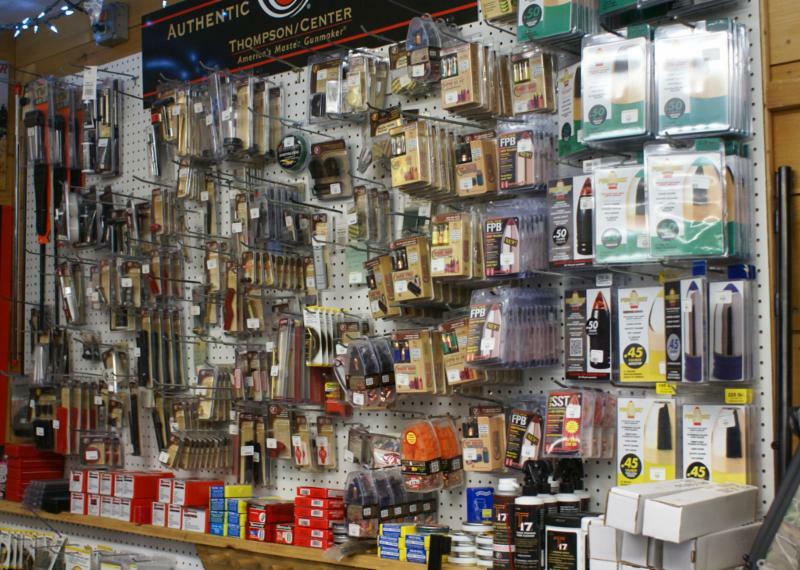 We have quite a few in stock of different styles and barrel lengths. We are proud to offer a complete line of gun vaults in every size, style, color, and price. If we don’t have exactly what you want in stock we can get it in a matter of days. In home delivery is available! The Mossberg 715T is an AR-15 style plinker in .22LR and a real hoot to shoot! The are regularly $339 for either the NH or MA version. We have them special priced for just $289 while supplies last. We even have .22 ammo! 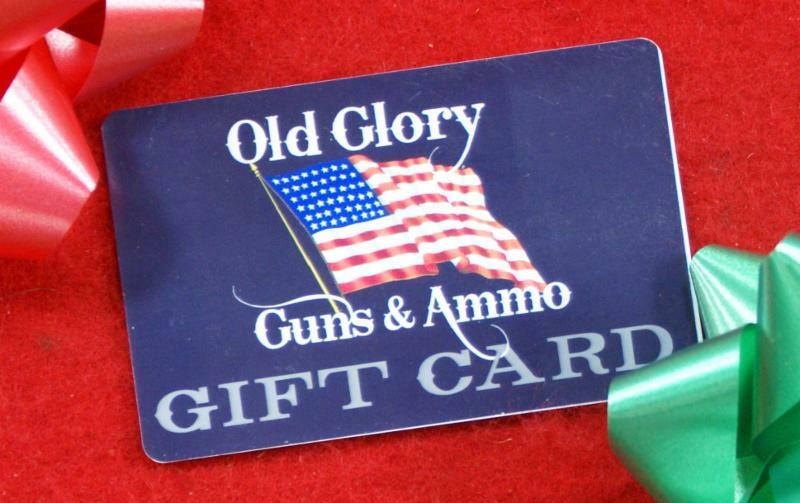 IF YOU CAN’T MAKE UP YOUR MIND WE HAVE JUST THE PERFECT GIFT CARD. STOP IN AND GET SOME TODAY!! !